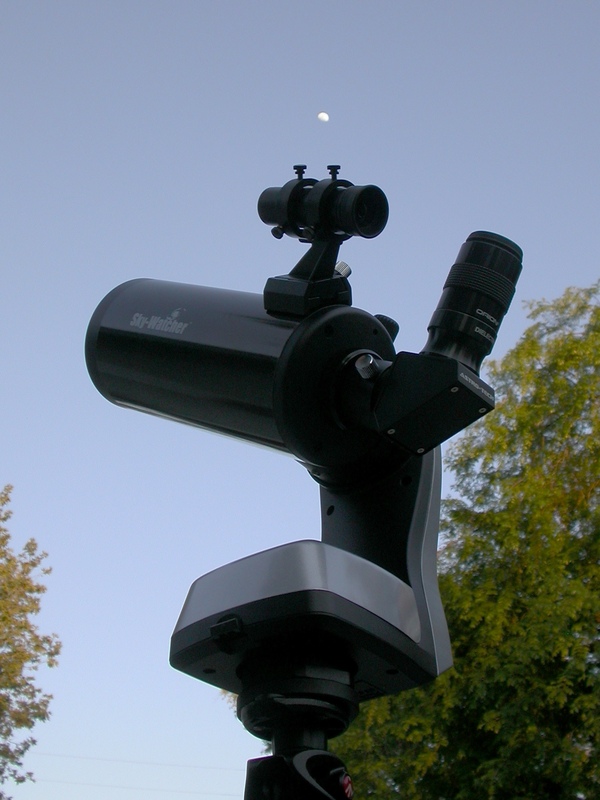 Great shot of you looking through the SkyWatcher Mak! Okay, Matt, you won me over. I have been looking for a small Mak to supplement by StarBlast 6 and your in-depth mainly positive review convinced me that this is the one. Ordered this morning from Amazon via your link. Nothing appeared any different once I was taken to the Amazon site, so I assume that the link is just some kind of invisible cyber conduit thing. So some credit should be coming your way. And as I am a certifiable Amazon junkie, more will be on the way! This does seem quite a package for under $200. Keep us apprised of your adventures with this little baby, both its optical performance on both planets and DSOs, and how that motorized base operates. Have to say that, with my limited experience, the motorized part looks a bit daunting. Also, I agree totally with you, re the efficacy of the RACI finderscope. I already added an Orion 6 x 30 to my StarBlast. This Mak looks like it will need a pretty small RACI, so when you decide on one, please post the link as, no matter the site, my Add to Your Cart click will be right behind. One question. 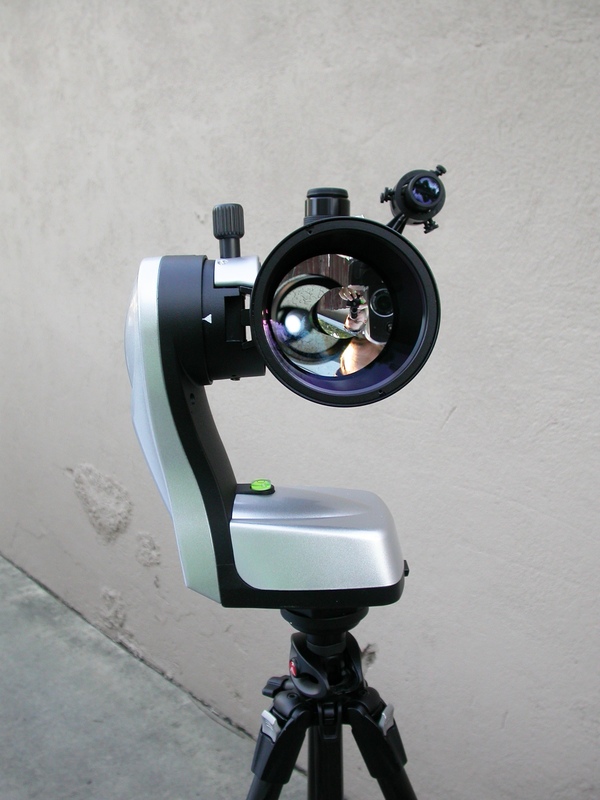 The authors of Turn Left At Orion (a splendid celestial trail map that is working great for me) say, repeatedly, to NEVER clean your eyepieces. I have handled mine with great care, yet it appears that there is some film or whatever on a couple of them. So. Do you clean your EPs? If so, how and with what solution? I bought a camera lens cleaning kit from Amazon which says “Distilled Water and Non-Toxic Glass Detergent” on the bottle but haven’t used once I read Guy whats-his-name’s warning. Any info you can pass along here is much appreciated. It wasn’t my intention to win you over, necessarily, just to give people a feel for the strengths and weaknesses of this scope package. But I think you’ll enjoy it a lot. I had mine out last night to log some double stars for the Astro League club. I’m glad to hear that you’re thinking about upgrading the finder, because you definitely need to. I soldiered along with the included finder just to see how it worked. It was fairly painful. The finder is basically just good for naked-eye visible stars, which in my LP meant a lot of star-hopping, which is no picnic with a ~1 degree field at the eyepiece. On the plus side, the optics continued to perform very well. Stars were nice little round points of light with perfectly circular diffraction-ring halos. Oh, and this was using my $8 diagonal from Sheldon as I had put the dielectric back on the Apex 127. 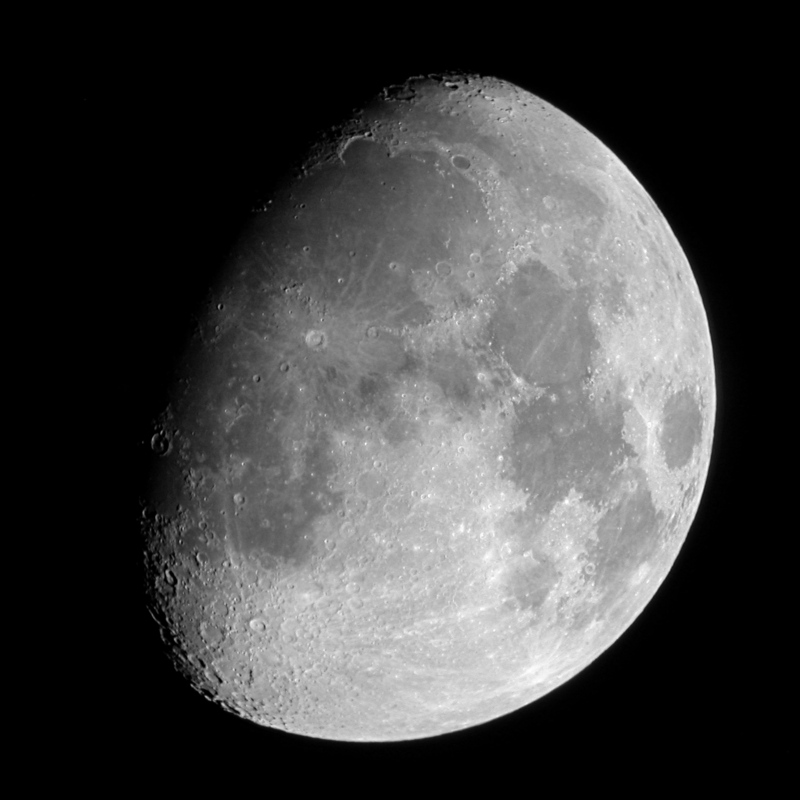 I had the scope up to 200x and the views were still sharp, so both the scope and the inexpensive diagonal were performing quite well. I don’t know if anyone makes a smaller RACI than 6×30, but if they do, I don’t want one and wouldn’t recommend one for anyone else, either. You could get another 6×30–here’s that link–or, if you can swing it, I’d recommend getting a 9×50 for the StarBlast 6 and putting the 6×30 on the Mak. My old XT6 came with a 6×30 and the 9×50 was still a very useful upgrade. If you go that route, here’s the link for the 9×50. On cleaning eyepieces: opinions vary wildly. Some people say never clean ’em, that whatever dirt and grime is on them is probably not noticeable in actual operation and that cleaning them will do more harm (e.g., to the coatings) than good. Other people happily use LensPens or generic optical cleaning kits (like the ones sold for eyeglasses) and don’t report any problems. I have cleaned a couple of eyepieces, but only when they’d gotten nasty enough that I just couldn’t take it anymore. One word of advice: everyone says put the cleaning fluid on the Q-tip (real cotton, not synthetic!) and then clean the eyepiece, rather than drip cleaning fluid on the EP and push it around with the Q-tip. The reason for this, I learned the hard way, is that if you just drip cleaner on the EP it may seep around the edges of the lenses and get between them, and now you have to disassemble the entire EP to get everything back to where it was. On the plus side, this happened with one of my cheap eyepieces, and I learned a lot from having disassembled a reassembled one. In fact, if you have a cheap eyepiece to spare–and you will soon, since you ordered the Mak–I recommend doing it just for the experience. 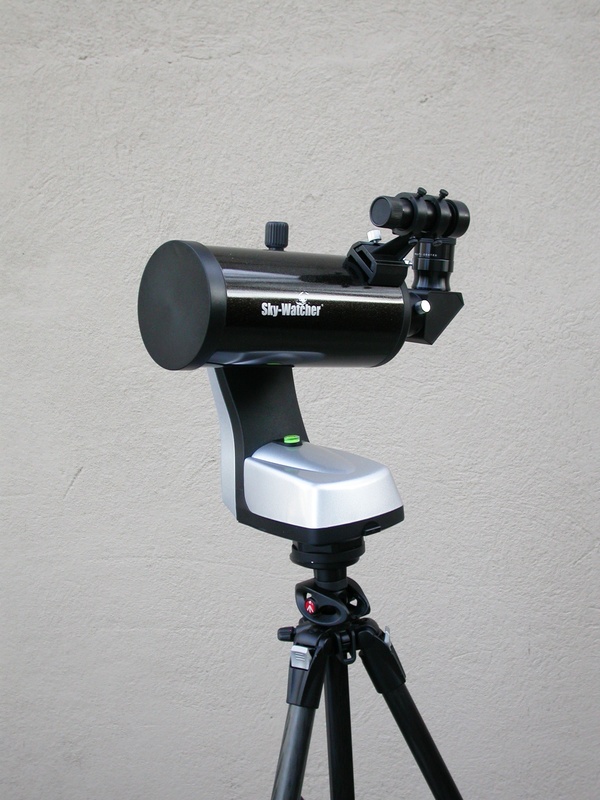 I was giving serious thought to getting the SkyWatcher Mak before I discovered your blog, and your in-depth review of its quality and performance was just the nudge I needed. I think that with it and the SB 6, I am going to enjoy two different kinds of viewing experience. And the Mak’s portability is a major plus. And that is great news on the Sheldon diagonal as I ordered one yesterday. I didn’t explain clearly at all, but what I meant by “smaller”, re a new finderscope for the Mak was not smaller optics as I think 6 x 30 is about as low as you want to go, rather a physically smaller RACI as the Mak is such a small scope. But I guess the Orion one I have now will do fine. It works great on my SB. Are there any RACIs other than Orion that you have, or know about? I could get my Mak as early as Friday, though Monday is more likely. I think I will hold off on ep cleaning for now as none of my look all that bad. Thanks for the advice. I was giving serious thought to getting the SkyWatcher Mak before I discovered your blog, and your in-depth review of its quality and performance was just the nudge I needed. Good, glad to hear it! I didn’t explain clearly at all, but what I meant by “smaller”, re a new finderscope for the Mak was not smaller optics as I think 6 x 30 is about as low as you want to go, rather a physically smaller RACI as the Mak is such a small scope. Ah. Well, I can tell you from experience that the long stalk on the Orion 6×30 unit is a feature, not a bug–it keeps you from banging your head on the eyepiece when you use the finder. But I guess the Orion one I have now will do fine. It works great on my SB. Right. You don’t have to get a new finder, you could just switch that one between scopes as needed. Right now I have three scopes in regular use and just one 9×50 finder to swap between them, so I am looking to get another finder soon. Are there any RACIs other than Orion that you have, or know about? 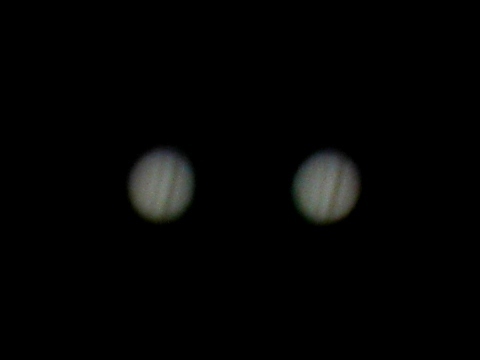 Yeah, StellarVue and Antares both make really nice RACIs with helical focusers that can accept 1.25″ eyepieces. They are a fair amount more expensive than the Orion models, but like all astro-gear it’s basically a one-time payment for something you’ll probably use for the rest of your life. 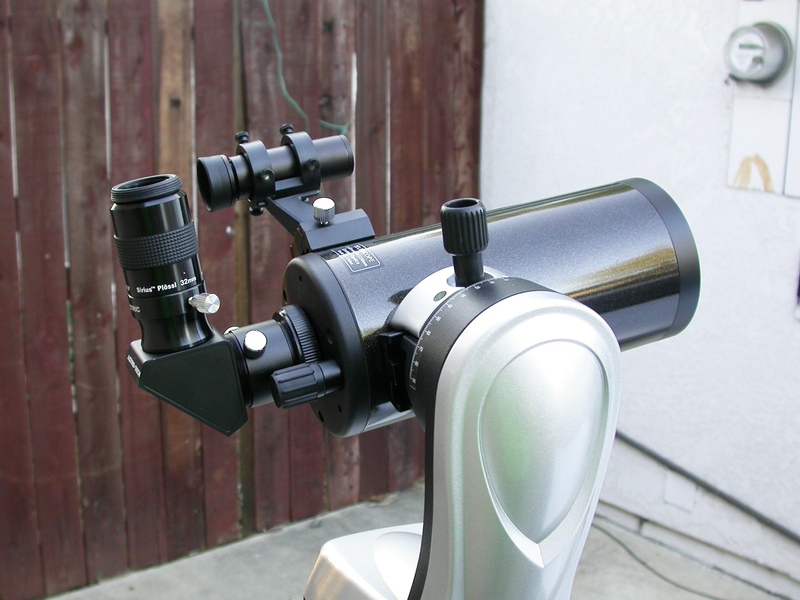 I usually point people to the Orion stuff first because it’s inexpensive, well-built, and easy to get hold of, but as with most astro-gear you can spend a lot more if you want and are able to. I have generally put money into scopes rather than accessories because I was trying to get my scope stable sorted out first, but now that I am getting close to having all the scopes I actually need, better accessories are looking more appealing. 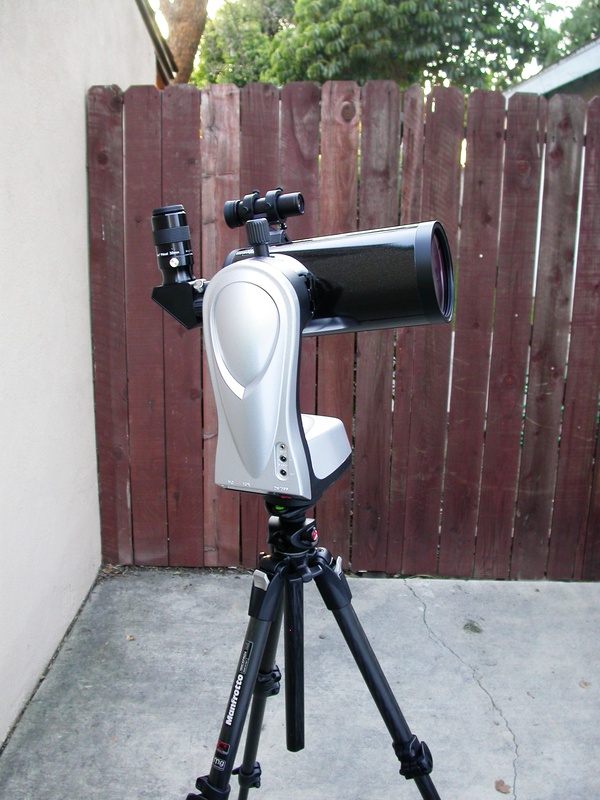 In particular, I am thinking about getting some rings to mount my SV-50 refractor as a luxury finder on either the XT10 or Apex 127.
unfortunately, I cant afford it! No worries, Justin. It’s not the scope, it’s the eyes and the mind behind it that count. 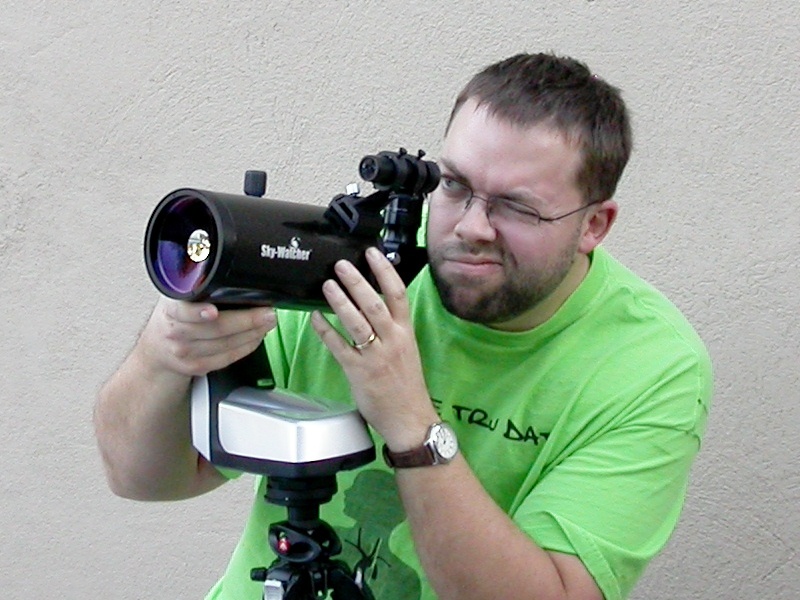 Leslie Peltier spent two whole years observing the sky with a 50mm spyglass because it was all he could afford. He made literally thousands of variable star observations during that time, and after two years he was loaned a 4-inch scope on the strength of those observations (this was in the 1920s when a 4-inch refractor was HUGE). Heck, Galileo never had a scope with an objective larger than one or two inches and he still managed to revolutionize our view of the universe. You’re doing good work with your 70mm refractor. You’re learning the sky, and learning how to really see. Don’t knock it–there are folks out there who prefer the long-focal-length achromats and hardly use anything else. And there are hundreds of celestial objects within the reach of a 70mm scope, maybe thousands. I’m not saying bigger scopes aren’t desirable as well; heaven knows that I have spent an inordinate amount of time desiring them. But I have also learned that time spent observing beats time spent mooning over scopes. Your Observer 70 is well built and well named, and only wants an observer who will take full advantage of it. I think you’re doing great in that respect. I think you might find the saga of Refractor Red inspiring. You can read it here. Clear skies!